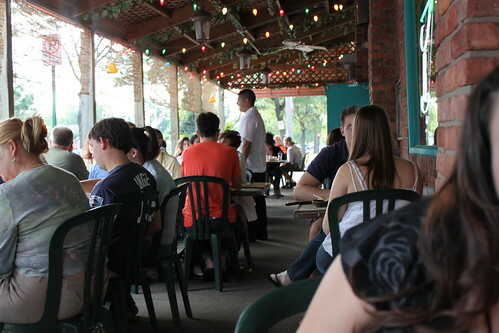 Detroit boasts a huge Mexican Town with many restaurants and taco trucks. 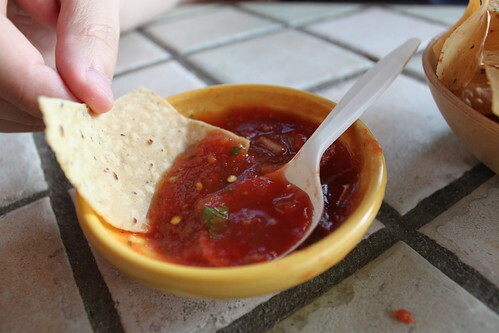 This was my second visit to Los Galanes. 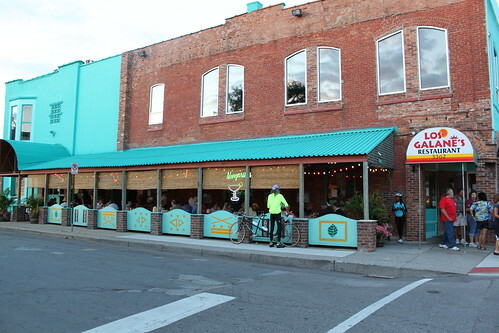 They are known for their seafood and authentic Mexican cuisine. There is so much on the menu that I want to eventually try, from the Menudo (tripe soup) and goat tacos to their whole fried red snapper. They have something rare for the city, outside seating! It’s very informal and quaint and a great asset on gorgeous summer days. 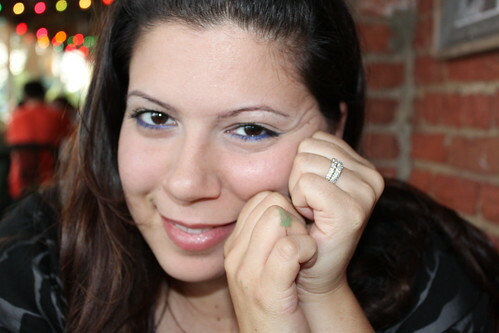 Note: I have paint on my finger from a spur of the moment decision to paint a wall green in our sun room. Don’t ask. My hubby trying to give the straightest face. Very hard task apparently. Like I said, they are known for their sea food. 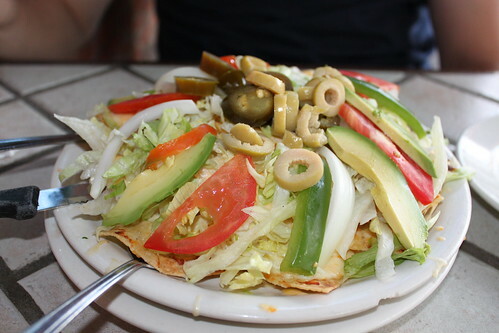 Last time I had the big ceviche appetizer, this time, I wanted to save room and got the ceviche tostada ($2.50) instead. I asked for a marlin tostada, also something I had loved the first time, and they said it was off the menu (bummer, it was gooood). I had also had the fish taco before and it hadn’t really made an impression, so I didn’t get it again. 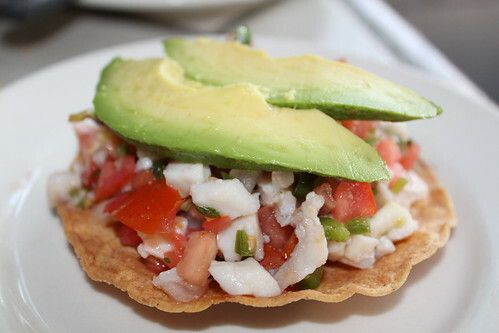 The ceviche was bright and light, and was a generous size. Would definitely recommend. Sam, the hubby, has an aversion to beans, guacamole and cilantro. He also likes what he likes and while he might taste whatever crazy thing I’m having at the moment, he will order the same simple dish. This time it was the Botana Galanes (small 7.25), minus the chorizo and beans. lol. I wanted to try something I’ve been dying to try ever since getting a crush on renowned mexican food genius Rick Bayless. Mole. Granted I already knew that whatever mole I was going to have would have nothing to do with him, but until I finally made it to Chicago, this would have to do. 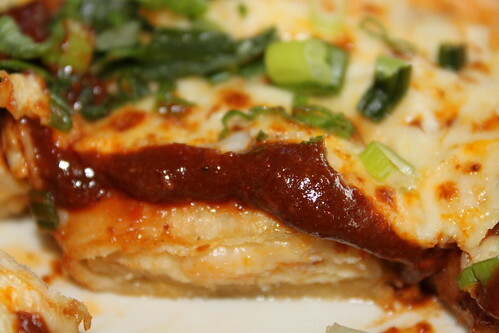 So, I ordered the cheese Enchiladas De Mole ($7.95). 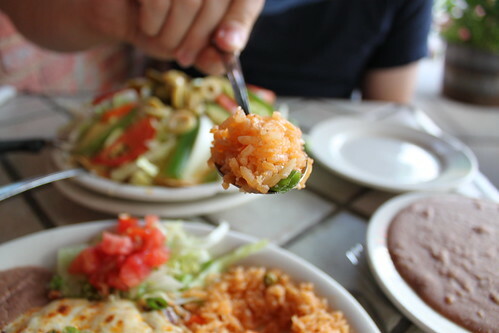 It came with the regular staples of rice and refried beans. Now, I have never had mole before, so I can’t really compare it to anything. But, this mole really didn’t have a depth of flavor that everyone always talks about. It was a tad chocolaty, but not really spicy. It kinda fell flat. There also seemed to not be enough sauce. 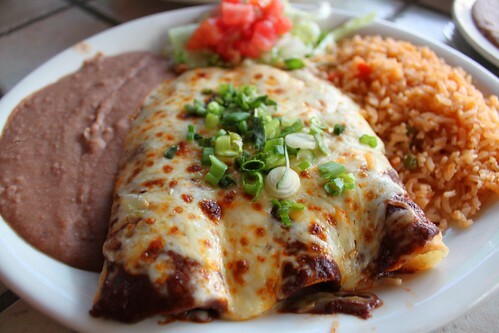 The enchiladas just seemed dry. 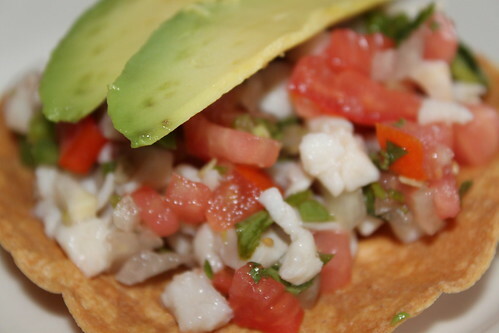 I basically did not get the “mmmm…” factor like the ceviche did for me. The one thing that did bother me in the beginning was that the waiter rushed me to order and he seemed in a hurry (they were busy). But other than that, he was fine. I will be back. Overall, the place is a gem. Great authentic vibe and a really great menu. So much more seafood for me to try. ++Mira++ posted this article under restaurant reviews, reviews	on Sunday, September 5th, 2010 at 4:17 am	You can follow any responses to this entry through the RSS 2.0 feed. You can leave a comment or trackback from your own site. View Technorati Linkbacks. This article has 3854 commentshttp%3A%2F%2Fwww.mirauncut.com%2Flos-galanes-detroit-mexican-town%2FLos+Galanes+-+Detroit+Mexican+Town2010-09-05+08%3A17%3A33%2B%2BMira%2B%2Bhttp%3A%2F%2Fwww.mirauncut.com%2F%3Fp%3D385 so far!